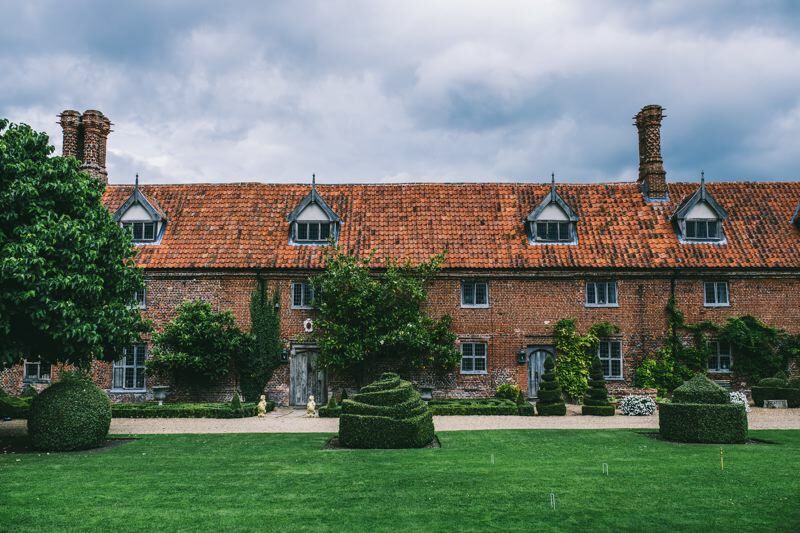 A picturesque Grade I listed Tudor country house with a historic thatched Great Barn is the idyllic setting to welcome your guests on your wedding day. Surrounded by a moat with absolutely beautiful walled gardens, this wedding venue will feel like your very own for the whole weekend. Nestled in South Norfolk countryside, 13 miles from Norwich and 6 miles from Waveney market towns Bungay and Beccles. The stunning Hales Hall country estate is available for your wedding on a 3 day exclusive hire for the weekend of your wedding. 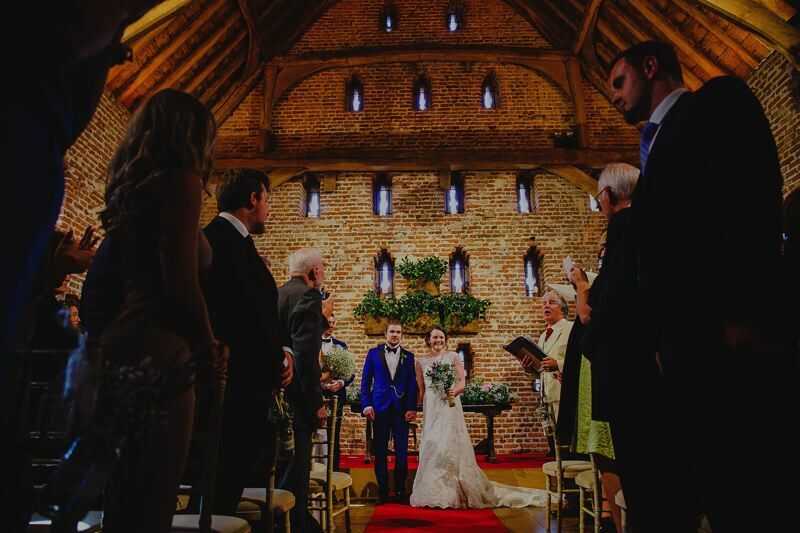 The Great Barn offers 3 day exclusive hire for your wedding day and is fully licensed for Civil Marriages, Civil Partnerships and Duo Ceremonies. In the beautiful South Norfolk countryside, yet only 13 miles from Norwich, Hales Hall & The Great Barn is complete with a fully licensed bar, integrated lighting and sound system, raised stage, a four metre projection screen, underfloor heating and a Gallery upstairs, boasting stunning views across the fields. The Gallery can be used throughout your day as a relaxed lounge, retreat for the married couple or an area for Champagne and canapés. 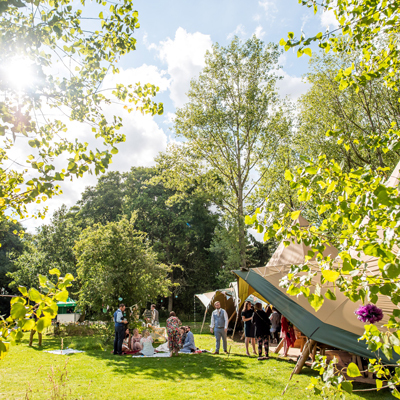 The Great Barn has a gravelled terrace with the Horsecart Store for you and your guests to enjoy throughout the day along with the lawn for post – ceremonial drinks and lawn games. 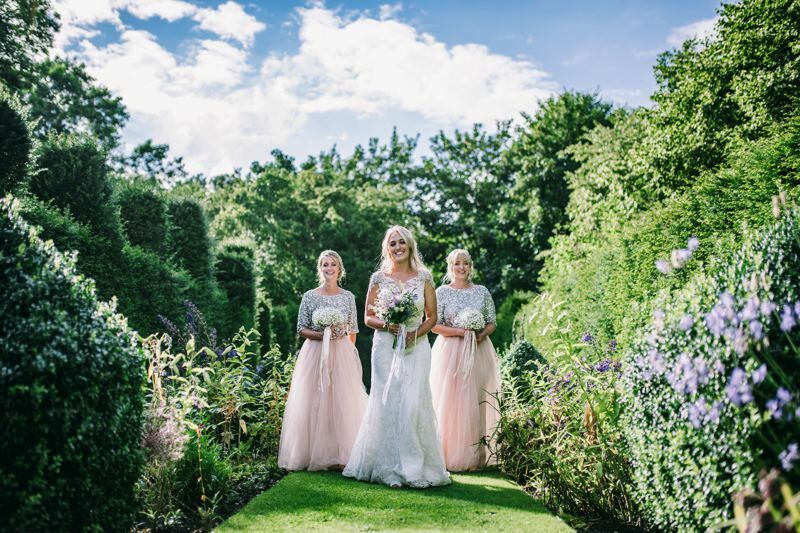 The beautiful gardens of Hales Hall, including established herbaceous plants and trees, topiary and a moated area with a fountain, are available to provide a stunning backdrop for your wedding photographs. Inside the Grade I Listed Tudor brick barn (the largest in Britain!) their bespoke lighting and sound system can be tailored to create the ambience you desire and provide background music during the ceremony, wedding breakfast and outstanding acoustics for bands or DJs in the evenings. There are modern bathroom facilities including a baby changing area, housed in the adjacent stables. They also offer an in-house wedding catering facility, provided by sister company Picnic, and can cater for every taste from traditional 3 course set menus to bespoke menus reflecting your ideas and personalities. Alternatively, there is the option for external catering if you wish. 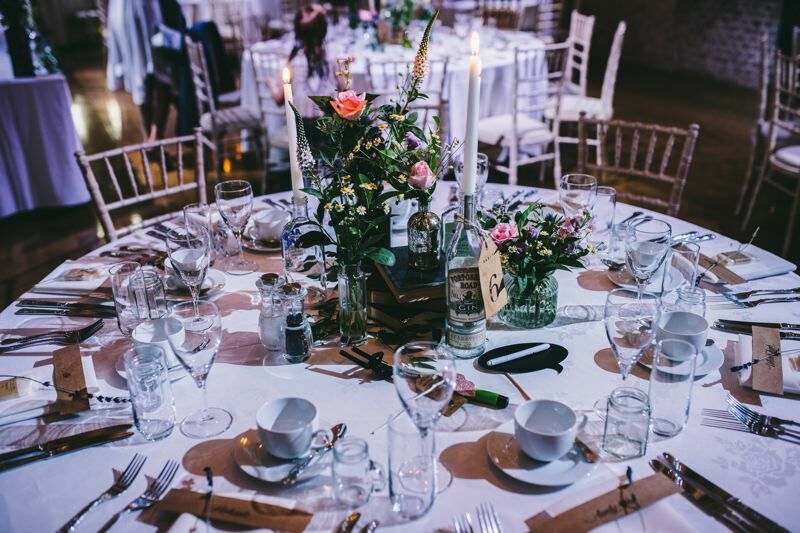 Their years’ of experience in hosting weddings and events at The Great Barn means that they can assist with every detail of your wedding and can suggest reliable, local suppliers for your every need and help coordinate your day. 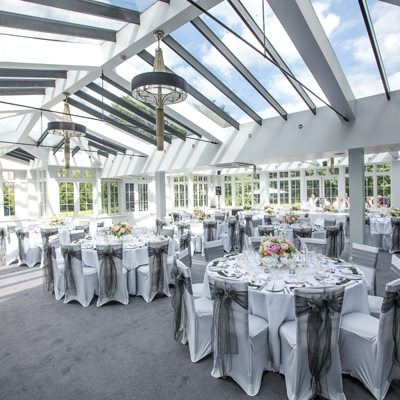 Receive £750 off when you book your Summer 2020 weekend wedding at Hales Hall & The Great Barn before 14th April 2019. Hales Hall & The Great Barn have created a number of packages for midweek weddings in 2019. These packages represent up to a 40% discount compared with our summer weekend wedding rates. Simply get in touch with the venue for more information.